Nikon is regarded by top photographers as the manufacturer of the world’s finest lenses. However, Nikon doesn’t only make lenses for cameras – the company also makes ophthalmic lenses for glasses too. So, when you’re ready to have your favourite spectacles re-glazed why not invest a little more in your eyesight and pair your spectacles with Nikon lenses? 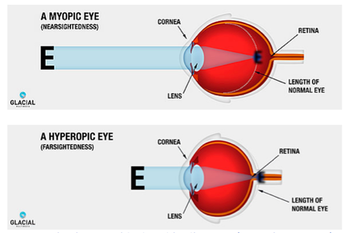 Let’s look now at the different eye conditions which can affect us. Myopia – Also known as near-sightedness (or short-sightedness). In other words, close objects are clear but things which are further away are blurry. Myopia is caused by the cornea being too curved or when the eyeball is too long. In this instance the light focuses on the front of the retina which means the image formed on the back of the eye is not as clear as it could be. Hyperopia – The opposite of myopia in that the eyeball is usually smaller than normal. In this instance the light falls behind the back of the eye rather than on the retina. His means that objects in the distance are clear but near-vison is blurry. Astigmatism – This is caused by the cornea being more curved than normal or the eyeball being more oval than round. Symptoms are blurring along a specific vertical or horizontal line often accompanied by eye fatigue. Presbyopia – This is a natural age-related condition which affects almost everyone. The lens of your eye gradually loses its ability to focus which usually results in difficulty when focusing on near objects. Your optometrist will be able to tell you which eye condition you have and give you the correct prescription so you can have your existing glasses reglazed. 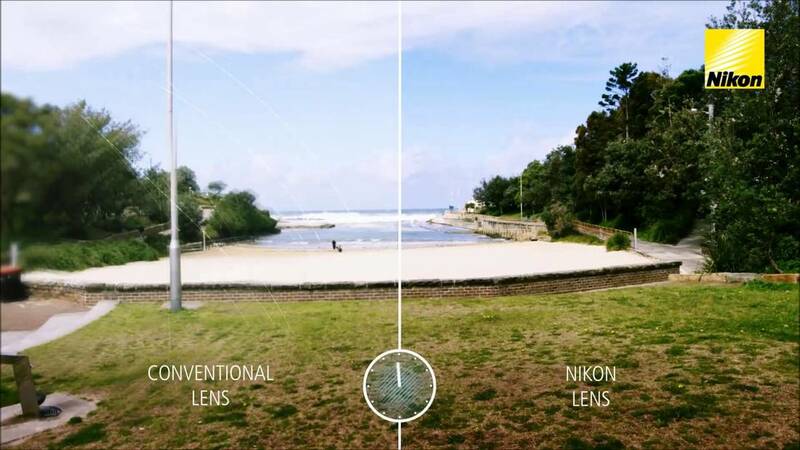 ​Why Choose Nikon Lenses For Your Glasses? The lenses you choose depends on whether you want your spectacles to suit all activities or one single activity. Single vision lenses – Single vision lenses are generally fine for when you simply need a stronger, all-over lens to improve your eyesight. Progressive lenses (varifocal or multi-focal) – If you currently wear reading glasses and have to continually swap them for another pair when you leave your desk, then you should consider investing in progressive lenses. Progressive lenses, also known as varifocal or multifocal, adapt to your focal point. For example, you can read up close and move your eyes to view distant objects without any obvious borders between each stage of the lens. Nikon manufactures a range of lenses from single vision to progressive yet through advanced engineering technology can still produce the thinnest lenses yet strongest lenses imaginable. After you send your Lenses In Glasses reglaze pack back to us, we’ll call you to discuss your needs. Why not ask us about the benefits of Nikon lenses and how they can open up a whole new world of vision for you? 2018 © copyright lensesinglasses, part of Spectacles Direct.